Flooded lead-acid batteries have the longest track record in solar electric use and are still used in the majority of stand-alone alternative energy systems. They have the longest life and the least cost per amp-hour of any of the choices. However the other side of the coin is, in order to enjoy these advantages, they require regular maintenance in the form of watering, equalizing charges and keeping the top and terminals clean (please refer to our maintenance guide on how to care for these batteries). 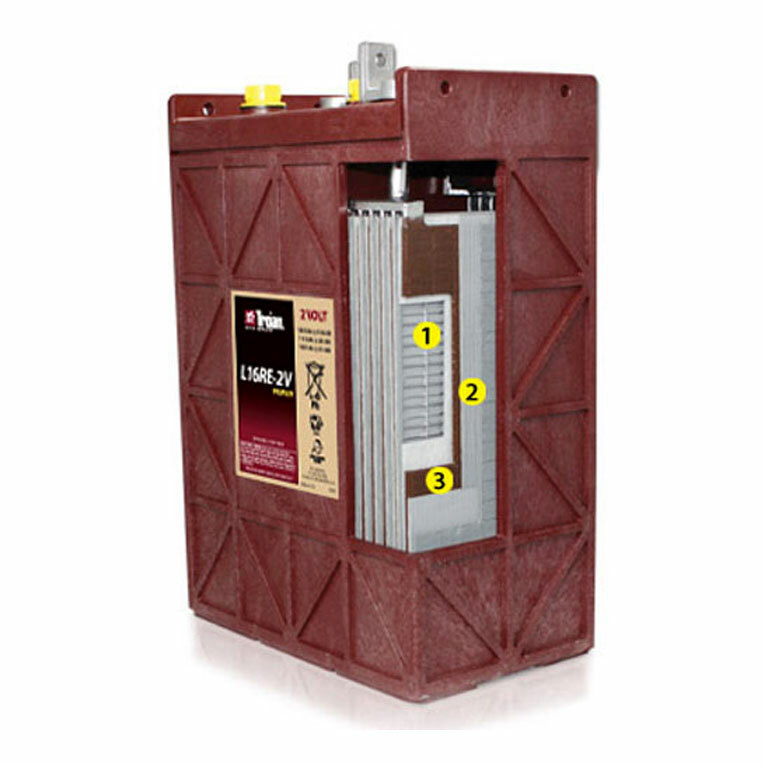 Some examples of flooded lead-acid batteries used in solar and wind electric systems are 6 volt golf-cart batteries, 6 volt L-16's and 2 volt industrial cells for large systems. Need more Trojan L16RE-A_8? We offer great discounts on quantity orders and FREE SHIPPING offers are available.